I went to Malang East Java. 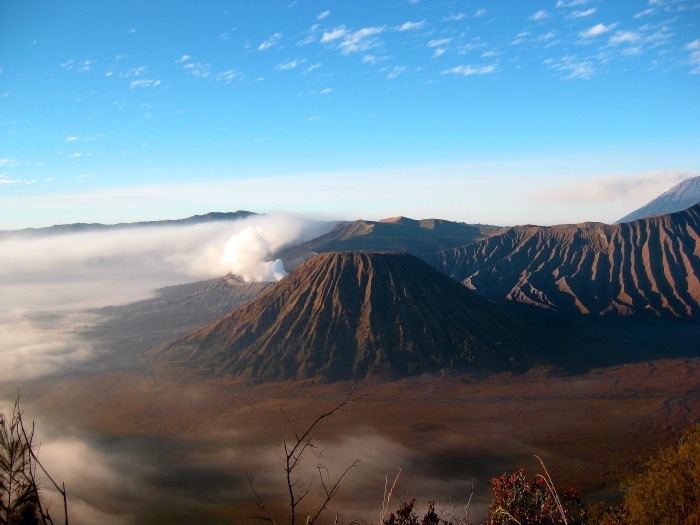 The famous beautiful landscape near here is Mount Bromo. Actually this mountain is not in Malang. It is in Probolinggo which is around 2 hours driving from Malang. However the easiest way to go is via airplane to Malang first then continue driving to Probolinggo. There is no airport in Probolinggo. Sunrise is the most fascinating view of Mt. Bromo. Unlucky me, I did not bring my SLR camera. I took this picture using my Canon PowerShot G9 .